Taking a great selfie is hard enough. Coming up with good captions takes extra creative effort and time to think it through. Good captions, however, can help your friends and followers better interpret your selfie from your point of view. You might think that your selfie speaks for itself, but that isn't necessarily true when viewed from other people's perspectives. 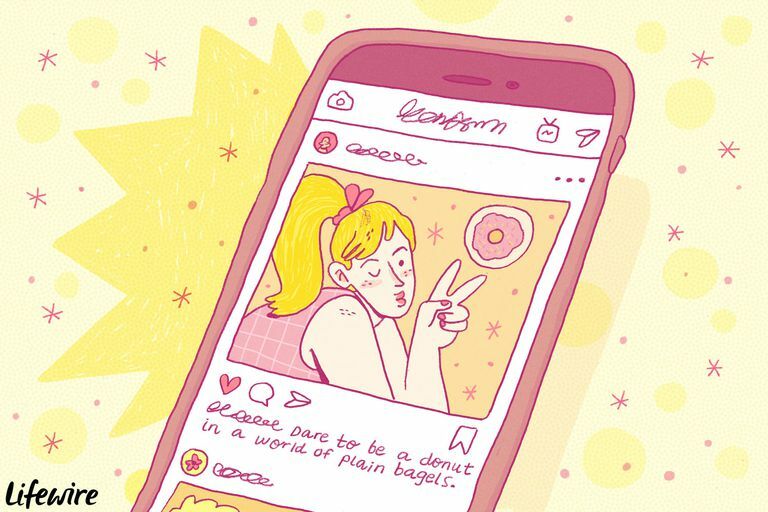 So next time you're gearing up to post a stunning selfie on Facebook, Instagram, Snapchat or any other of your favorite social networks, look toward some of the following selfie captions to help you verbally communicate the message you're trying to convey. Everyone loves a selfie caption that really stands out among the others. These will show that you put some creative thought into it. 1. "In a world full of trends, I want to remain a classic." 2. "This reality is a beautiful illusion." 4. "Eyes are never quiet." Humor is a great way to show that you don't take yourself too seriously and it's a great way to drive up engagement on your selfies. Try cracking a joke in your selfie caption to see how much your friends and followers love it. 6. "Today, I will be as useless as the 'g' in lasagna." 7. "Stress doesn't really go with my outfit." 8. "Reality called, so I hung up." 9. "Dare to be a donut in a world of plain bagels." 10. "I walk around like everything is fine, but deep down, inside my shoe, my sock is sliding off." Speaking of not taking yourself too seriously, more and more people are starting to appreciate selfies that convey more realistic messages. In a digital world where everyone has the power to control aad manipulate their self-image, selfie takers who willingly embrace reality and their vulnerabilities are like a breath of fresh air. 11. "Less perfection, more authenticity." 12. "To be old and wise, you must first be young and stupid. 13. "Sometimes you gotta fall before you fly." A selfie caption that makes you think is always better than a selfie caption that simply comments on your looks. Best of all, these clever captions can go with almost any selfie. 16. "Beauty attracts the eye, but personality captures the heart." 17. "Be a stiletto in a room full of flats." 18. "Seek respect, not attention. It lasts longer." 19. "What I know for sure is that what you give comes back to you." Let's be honest — sometimes when you're really feeling your look, you just want everybody to know! There's no shame in genuinely admiring your own appearance, and a little sass can actually be rather endearing. 21. "Don't be ashamed of who you are. That's your parents' job." 22. "Confidence Level: Selfie with no filter." 23. "I know looks aren't everything, but I have them just in case." 24. "Too glam to give a damn." 25. "Sunshine mixed with a little hurricane." Cute captions for selfies give off a warm and fuzzy feeling and are ideal for showing off your sweet and innocent side. You can definitely expect to get at least a couple "aww" comments if you have a lot of active friends/followers. 26. "Smiles are free... but they're worth a lot." 28. "Believe in your #selfie"
29. "Fall in love with moments." 30. "There's sunshine in my soul today." Whether you want to remind friends and followers that it's your birthday or your simply want to express how great the past year of your life truly was, expressing it through a selfie is a common trend on social media. These captions say "It's my birthday!" in the most fun and creative ways. 31. "New year, same me... because I'm already fabulous!" 32. "I'm another year older, wise and happier." 33. "We age not by years, but by stories." 34. "Being an adult is like folding a fitted sheet. No one really knows how." Without good captions, mirror selfies can seem a little egocentric and awkward. Balance out your vanity and bring a smile to your friends' faces with some of the following mirror-themed captions. 36. "I don't dress up to impress others. I dress up to stare at my reflection as I walk by mirrors and windows!" 37. "Dress like you're already famous!" 38. "If you're searching for the one person who will change your life, take a look in the mirror." 39. "Mirror mirror on the wall, I'll always get up after I fall and whether I run, walk or crawl, I'll set my goals and achieve them all." 40. "We are all mirrors, and what we see in others reflects what we see inside ourselves." Song lyrics make perfect selfie captions and take the pressure off of you for trying to come up with something witty and creative all on your own. Next time you're listening to an old favorite or a new hit, pay attention to the lyrics to see if any of their messages resonate with you. Not everyone is going to read through a lengthy caption, so keeping it extra short is often a good route to take. It's quick to type out, gets straight to the point and makes it easy for friends/followers to skim when they come across your selfie while browsing their feeds. 46. "Happy mind, happy life." 49. "Focus on the good."